This is SLY & ROBBIE's follow up to Grammy Winning "Friends" album released by Warner Brothers. In this new album they feature Wyclef Jean, Bounty Killer, Maxi Priest, T.O.K., Bounty Killer and many more name artists. 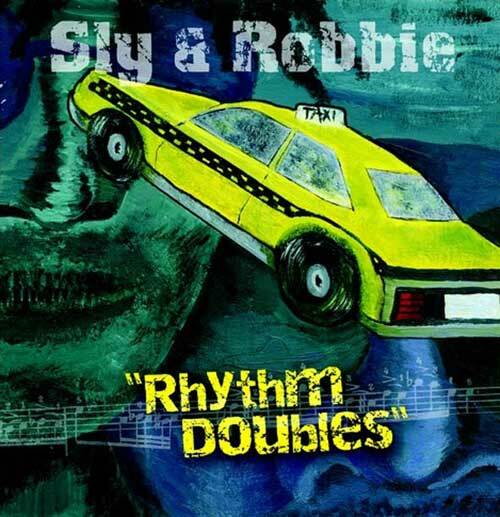 SLY & ROBBIE, they are 4-time-Grammy nominee including Best R&B and 2-time-winner. This RHYTHM DOUBLES album is highly anticipated for the coming Grammy nomination. Après un Grammy pour l'album "Friends" voici leur nouvel album incluant des feat incroyables puisqu'on y retrouve WYCLEF JEAN, BOUNTY KILLER, MAXI PRIEST, T.O.K, ELEPHANT MAN, LADY SAW, CHAKADEMUS & PLIERS etc. LA grande section rythmique est de retour avec un album dont chaque titre s'adapte à la star en featuring.